Digital transformation has become a common buzzphrase in the tech community over the last few years, but the concept has hit consumers as well – whether they know it or not. One of the best examples of this in the last two decades has been Netflix and its journey of disrupting the entertainment industry. Since its early beginnings as a DVD mail rental service, the company has grown into the biggest video streaming platform worldwide with more than 100 million subscribers, and even managed to take down the $6 billion goliath that once owned the movie rental industry – Blockbuster. 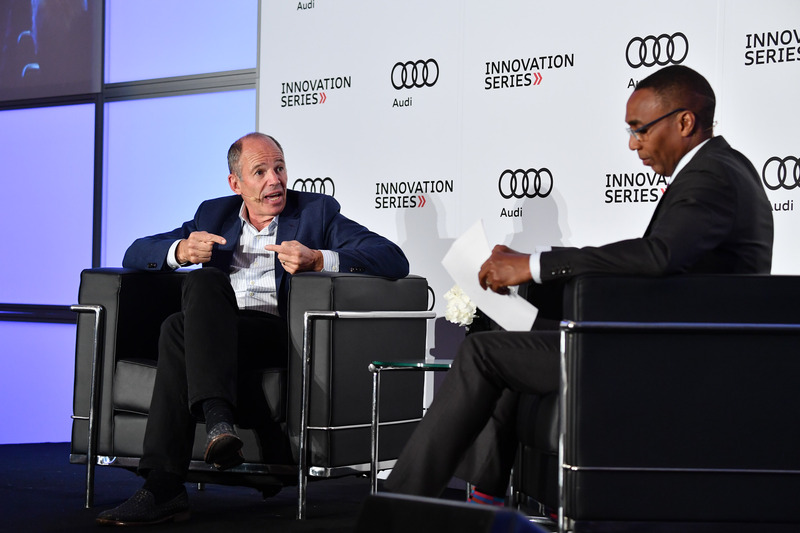 Marc Randolph, one of the co-founders of Netflix, was in Toronto on June 6, 2018 for the second annual Audi Innovation Series, which features notable figures that have had an impact not only the technology landscape, but on the world as a whole. IT World Canada caught up with Randolph at the event to get his perspective on the changing industry. ITWC: You started very early on in the tech industry, in the midst of what people often call “the internet revolution”. I would love to know, from your own perspective, how you’ve seen the technology industry change? Marc Randolph: Well, one thing I’ve noticed is that the technology stack has gotten so good that now you don’t need to be a jack of all trades to start something. I mean, back when we did Netflix, for example, we had to build it on servers that we had to configure on our own. We had to do our own back end systems, and we had to do our own accounting. I mean, now, almost everything is not only off the shelf, it’s in the cloud. But what that does is besides making it easy, it enables almost anyone who has an idea to give it a shot. I mean, you want to spin up an instance and try a new idea, you can do it for $20.00. You want analytics? Another $20.00. You want anything, you can do it relatively cheap and easy, and that is such a powerful thing. Tech like cloud also breaks apart the geography barriers. You don’t need to have experts who live around you. You can be a single entrepreneur in Valparaiso, Chile, but you still have access to Amazon cloud. You have access to all these tools by yourself, which means that you no longer have to be in Silicon Valley or a major city. You can do it any place, any time, and it wasn’t like that when I first started Netflix. I think the progress of technology has been tremendous in that way, and hugely empowering in terms of innovation and entrepreneurship. ITWC: Absolutely. Can you speak about some of the challenges that you came across starting Netflix that maybe people starting businesses now may not come across? MR: We had to make a much bigger bet because it took so long to prove things. I mean for example, we took six months and about a million dollars just to build an e-commerce website. So, the idea took tremendous confidence in someone because we could only test every six months or even longer. Now, that website that took us six months and a million dollars could be done in a couple hours for nothing. ITWC: In one word, do you have any predictions of what the next biggest technology is going be? After our brief interview, Randolph went on to speak in front of an intimate Audi Innovation Series crowd at the Four Seasons Hotel Toronto, where he presented a more detailed answer of ITWC’s last question. Randolph now spends most of his time as an angel investor. While the entrepreneur no longer works at Netflix and has started selling off some of his shares, he jokingly points out that the company is like an “ever-filling bucket”. He says one of the biggest reasons behind the scenes that has made Netflix so successful is its culture. Even after two decades and more than 5,000 employees, the company still acts like a nimble startup. “I’m a big culture guy, I think it’s one of the most important things in a business. It’s not what you say, it’s how you act, and culture is really handed down by behaviour. It originates with how the founding teams act, behave, and treat their colleagues and customers, and for better or for worse, it cements itself in the company. It’s hard to change, but I think we set a great example early on of how we wanted the company to look internally, and it’s carried on this long. We’re proud of that,” he concludes.